Field-proven in the US and overseas for years, the MDS TD radio family provides robust communications for Positive Train Control (PTC). Our economical and simple to use communications system operates with the major PTC system integrators and equipment. Versions available include: 220 MHz for North America, 450 MHz for Australia, and 250 MHz for Brazil. 25 Watt transmit power for long-haul coverage. Cost-effective solution with no software license or maintenance fees. 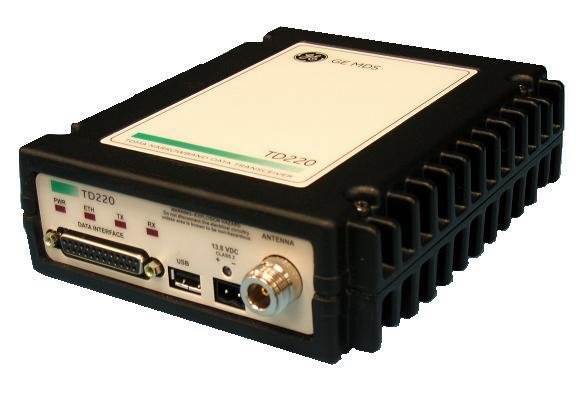 Optimized TDMA MAC supports single-frequency operation reducing spectrum license requirements. Provides patented Forward Error Correction scheme for robustness in high-speed rail applications. Supports external third-party Communications Manager via standard protocols. Provides Ethernet interface for use with local or remote controllers and devices.